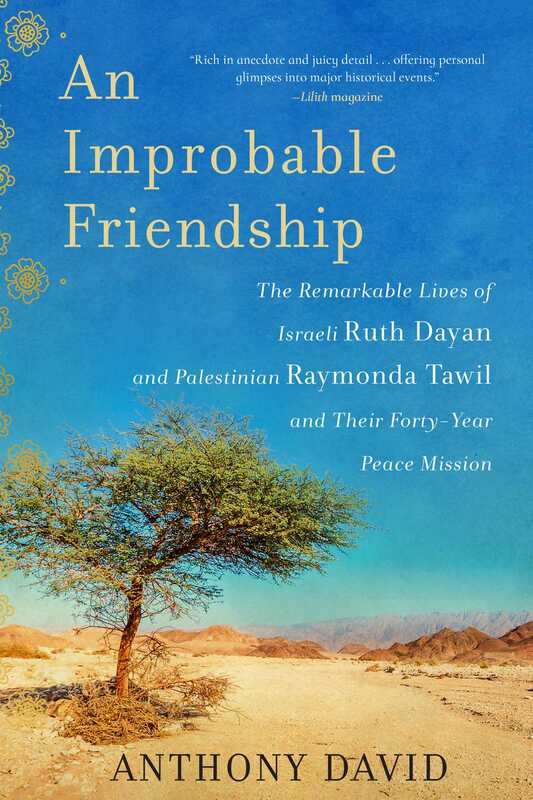 An Improbable Friendship is the dual biography of Israeli Ruth Dayan, now over one hundred, who was Moshe Dayan's wife for thirty-seven years, and Palestinian journalist Raymonda Tawil, Yasser Arafat's mother-in-law, now seventy-eight. It reveals for the first time the two women’s surprising and secret forty-year friendship and delivers the story of their extraordinary and turbulent lives growing up in a war-torn country. Based on personal interviews, diaries, and journals drawn from both women—Ruth lives today in Tel Aviv, Raymonda in Malta—author Anthony David delivers a fast-paced, fascinating narrative that is a beautiful story of reconciliation and hope in a climate of endless conflict. By experiencing their stories and following their budding relationship, which began after the Six-Day War in 1967, we learn the behind-the-scenes, undisclosed history of the Middle East's most influential leaders from two prominent women on either side of the ongoing conflict.